We offer RESIDENTIAL MOVING and secure heated storage. We also offer affordable rate PIANO MOVING and HOT TUB MOVING. Through our interstate partner, ALL STAR, they offer Long Distance Moving nationwide at affordable rates to or from Washington State. Hot Tub Moving in Seattle, Bellevue, Kirkland, Everett, Lynnwood, Edmonds, Shoreline and Surrounding Areas. Are you searching the web for Seattle hot tub movers or Bellevue hot tub movers or elsewhere in the Greater Puget Sound? Congratulations -- You found Careful Movers. We are professional and experienced with moving hot tubs of just about every size. Moving a hot tub is no easy matter for most home owners. Save yourself the pain and potential injury to yourself (and your hot tub) and hire Careful Movers to do the job instead. We have the trucks and straps and tools to take the pain out of moving a hot tub. Hot tub moving made easy with Careful Movers! Don't live anywhere near Seattle, but need hot tub moving services? Careful Movers services small towns and cities all over the State of Washington. Even if you don't live anywhere near Seattle, we can still help you with your hot tub moving. Get a free quote now or call our experienced office staff if you have any questions: Toll Free: (800) 475-8868. WE THANK OUR LONG TIME CUSTOMERS FOR YOUR REPEAT BUSINESS OVER THE YEARS! Please "Like" Our Careful Movers Facebook page. LOCAL MOVING How do movers in other cities stack up to our moving company? Copyright © 2018, CarefulMovers.net. All rights reserved. 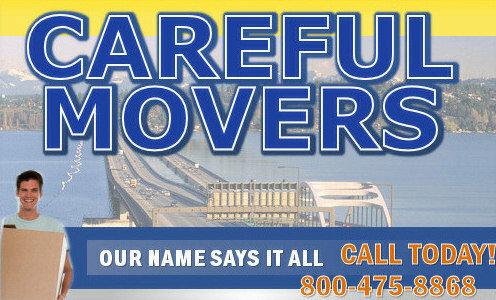 Careful Movers is located at 24111 Highway 99 Edmonds, WA 98026.